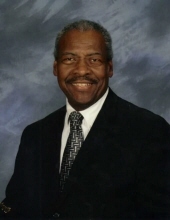 William “Fred” Loving, a longtime area resident, died following a long illness on Thursday, March 28, 2019 at Orange Regional Medical Center in Middletown. He was 75. The son of the late Willie and Mary Tucker Loving, he was born on March 13, 1944 in Harlem, NY. He attended NYC schools and proudly served in the US Navy during the Vietnam War. Fred worked at Mid Hudson Forensic Psychiatric Center as a Senior T.A. for many years until his retirement in 1999. He was a volunteer fireman for Engine 1 in Middletown and an E.M.T. for Mid Way Ambulance. Fred was very active in everything he did, but his spiritual work was his greatest joy. He was a minister in the Methodist Church in Middletown. He enjoyed being able to carry the message to others. Fred is survived by his loving wife, Merri Lou at home; daughters, Toshia Loving, and Erin Evans and her husband Greg and stepdaughter Elizabeth Johansen and her husband Jon, and his sons, Robert Flood and his wife Valerie and Christopher Carter and his wife Allison; 17 grandchildren and one greatgrandchildren and several nieces and nephews. He was predeceased by his brothers, Frank Loving and Ollie Hall. Visitation will be from 2 to 4 pm on Wednesday, April 3, 2019 at Applebee-McPhillips Funeral Home, Inc., 130 Highland Avenue, Middletown, NY 10940. A Celebration of Life will be held at 4 pm at the funeral home, Pastor Agnes Saffoury will officiate. Cremation will be private. Funeral Home Inc. 130 Highland Ave., Middletown, NY 10940. To send flowers or a remembrance gift to the family of William Fred Loving, please visit our Tribute Store. "Email Address" would like to share the life celebration of William Fred Loving. Click on the "link" to go to share a favorite memory or leave a condolence message for the family.